I have returned from Penguicon 2010 (8.0), something I almost didn't go to. But, I'm glad I did. I saw lots of interesting panels and things, I met up with people that I only see at Penguicon. Why did I almost not attend this year? Well, last year I took a lot abuse for volunteering at Penguicon 7.0 and I was pissed about that whole experience, even though I had prereg'd for this year. I was ready to walk away from the prereg and never come back. It continued to be a possibility throughout the year...and I mentioned the possibility online a few times on facebook and twitter. I got a few DMs and such that I would be missed ... still on the fence, I went ahead and booked the hotel. Knowing that I could cancel as things got closer. 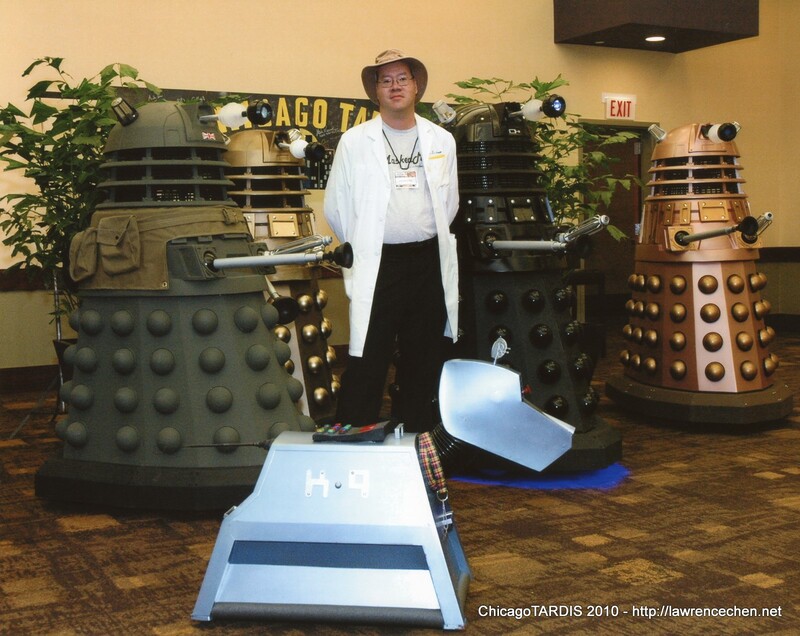 Like last year I had booked hotel for OLF, but right when it was finally time to investigate booking airplane tickets...I opted to cancel that, the bills from the bike accident were eating up my discretionary credit funds and I was more committed to going to Chicago Tardis later on. The flight going back was somewhat better, except for the 45 minutes between leaving the gate and finally leaving the ground of Detroit. And, now it looks like I have a RoadRunner issue to resolve. They changed me a return fare, even though I paid for a full roundtrip fare at the beginning.....again. They are probably punishing me for being a frequent traveler and having my credit card information on file. Could be why another passenger wanted to make sure that Roadrunner wouldn't keep her credit card information if she paid with a credit card....though the answer didn't say they wouldn't, she paid with the credit card anyways. Back to pre-con....even though I had booked the flight, as well as after I had made the Roadrunner reservation and the scheduled the hold of mail. Though this year I didn't prearrange transportation in Detroit, and just winged it with taxi service....an extra $85 each way. Wonder how that compared with 2 years ago....darn Quicken doesn't make this easy.... Hey, I came out better...2 years ago it was $190 roundtrip. Though on just that part....probably. But, I was still considering not attending.... Now penguicon.org is among my daily bookmarks, and also around the time of deciding to pull the trigger on the Roadrunner reservation and mail hold...was the announcement that Geeks with Guns was now on for Penguicon. So, I fired off an email to inquire about getting registered for that. That was a big of an ordeal, since for a while I didn't hear anything. And, things at work were getting crazy, so I was contemplating letting work throw my balance more off and not go. But, doing Geeks with Guns was something I couldn't see myself passing up on. While I never got confirmation, and didn't know when the assembly was taking place, etc. It happened and all was good. Though don't think I'll ever recover getting work and life back in balance....since I maxed out at 304 hours about 1.5 years ago and have lost some 13 days of vacation time. Of course the wheels fell off at work the day I started this vacation....but, I did well enough at keeping this a vacation. Did fix some stuff while I was waiting for my flight at MCI, was nice to see they finally fixed the netmask issue. And, I did some more the first night using hotel wireless, which wasn't included in the hotel rate, and I incurred charges for 3 of the nights. I got it that first night, mainly because I wanted to hit the Narcolepsy chat on TalkAboutSleep, though I almost didn't make it because I got invited to do ConCom supper at TGIF....a new experience for me, having not found much to do the Thursday night in previous times....and later there was a pre-consuite gathering. But, I wanted to turn in normalish...so that I would at least be well rested for the start of the con, and for doing Geeks with Guns. Though the chat was still going on, on account of the time difference, so I caught the end of that....and ended up going to sleep at what would be a normal time without the timezone difference. Though I woke before the alarm....which could be more to do with my current set of sleep issues rather than anything to do with the con. Maybe I should've packed the Ambien...but usually I sleep better in hotels than I do at home. I didn't bother getting Internet the next night, but got it Saturday night so that I could poke around a bit on my servers at home and get my doctor who fix. Think wireless at the hotel might note have suffered as much if there were some organization of it. Since, I found other people also getting it through other means. I may have gotten wireless too early on Saturday night...because it takes a while for TiVoToGo to process. Though it was hard getting the media file from home to the hotel. I do sometimes think about getting a SlingBox, but not sure how it'll work in letting me access all 3 of my TiVos (well, there's only 2 right now, but I'm thinking of a third -- TiVo Premiere -- down the road). I know you can access content on other TiVos from one TiVo, but my TiVos are pretty tight on space....in fact due to being at Penguicon....I have had content bumped off of my TiVos. Though it was likely that I would never find the time to watch those shows (mainly movies and miniseries are the oldest content on the boxes....guess I'll just set up a wishlist recording to see about finding the show in the future again, or use other technological solutions to catch up....should I ever get to that). I eventually got around to getting the fix Sunday morning...and later ran into groups of people doing the same. As for the Con, it was informative and fun...and there were times where there was too much stuff to choose between (though other times where there was a lull, some good...some bad....) I didn't have to totally depend on the consuite for food during, since there was some reasonably priced on site food available....though its availability and variety was somewhat lacking. IE: Sunday lunch....I wasn't sure I wanted to do pizza again, I suppose chicken strips might have been an option....so I went up to see what the consuite was having, but they were tearing down...so I went back downstairs and cash lunch service had ended. And, then it was time for the next panel that I wanted to see...and that was back to back with others for the rest of the con. pigging out on chips (or something) and other snackage during the dead dog is what I did....was fine. Though maybe that's why I'm sick now. Or maybe I shouldn't have gone with more pizza when I got home last night. One thing I did get to do at the Con that I wish I had...was to learn and play some games. I missed out on the times when they had Settlers of Catan and Carcassonne out, and the Fluxx event didn't happen because the previous thing ran long, so the event person chose not to show up and run it. Learning new games might have been interesting, but seems when the opportunity presented itself....I didn't have enough time to commit to the experience. That's a sign of a good con, right? Biggest change I did this year? I had resolved that if I did show up, I wasn't going to volunteer again. Since, the volunteer experience at Penguicon 7.0 (along with a few other issues like #beefline) was what ruined things for me. One thing I didn't do at Penguicon 7.0, that I wish I had asked about during this con...was see if I could get a shirt of that con. Though I did get a shirt of this con, and I plan to wear it to work tomorrow. Now since I didn't volunteer this year, the idea of pre-registering for next year didn't occur to me until it was too late to do so. But, right now I'm thinking I do want to come back next year (even though up until the con, I had been telling people that this was to be my last Penguicon). The reason is that it seems to be the only time I see the friends I have made at Penguicon. 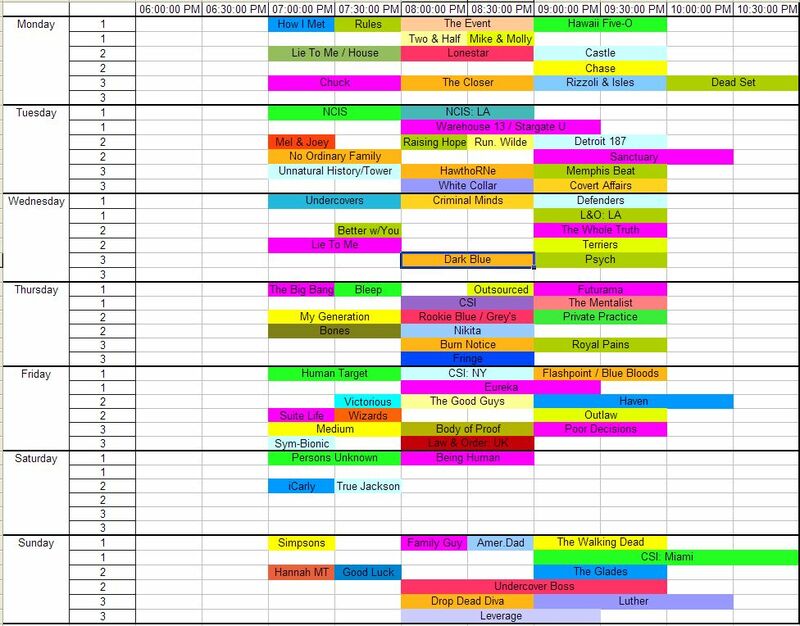 Though I think I need to work on diversifying which cons I attend, and there are other cons in the vicinity of Penguicon weekend that I think I might want to check out someday. I suppose if it were such a huge ordeal (along with cost) to do cons, I could do more and closer together.....but I haven't won the lottery yet. Guess we'll see. There are 18 years 8 months 27 days 3 minutes and 2 seconds until the end of time. And, it has been 6 years 4 months 13 hours 59 minutes and 54 seconds since The Doctor saved us all from the end of the World!